Ignite Your Party Spirit with Gin & Tonic Tasting in Barcelona! You won’t have to go far to find an amazing Gin & Tonic bar in Barcelona… But we only deal with the very best. In recent years this classic British drink has rocketed in popularity in Barcelona. With golden sunshine and terrific terraces, there’s no better place to enjoy a perfect G&T than Barcelona. 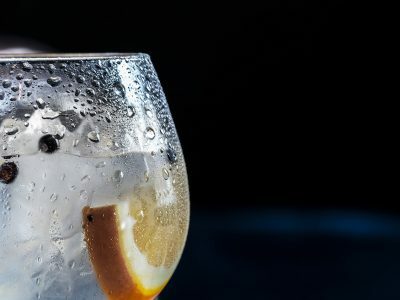 If you’re a huge G&T fan, we have just the thing for your hen do in Barcelona – an awesome Gin & Tonic Tasting session! Our expert Gin Master will take you through the four different gins available to taste. This fabulous journey is loaded with new tastes and flavours and you’ll be sure to find something new. The tasting session will take place in your own private area of the bar, and will last for two hours. If you would like some delicious tapas to accompany the session be sure to let us know: a delicious tapas selection can be provided for a small additional fee. If you are looking for bar inspiration for your hen do in Barcelona, be sure to check out our post about Barcelona’s best bars. If you are looking to add some additional exciting to the session, we can organise for a male stripper to come and welcome you to the tasting session! Or he can come along to give your session a naughty finish – just ask your party planner for details!